Well maintained ranch home in Albany, Ohio. This three bedroom, 1.5 bath with open living space is perfect for everyone. Great yard with a nice back deck and storage shed.Rent is $1100 per month. Three Bedrooms left in a fully furnished 4 bedroom, 2 bath condo at Ohio University Commons. Central air, washer/dryer, dishwasher, 4 parking spaces, and separate storage room all included in monthly rent. Enjoy clubhouse amenities including a pool and fitness room, as well as a bus service for tenants and their guest to and from Ohio University campus and uptown. Right in the heart of Athens! Updated interior! Three bedrooms and one bathroom. Walking distance to campus and uptown. Great front porch! Rent is $450 per person per month or $1350 total per month. Fantastic, charming apartment on East Side! 3 bedroom 1.5 bath duplex. Off street parking and washer/dryer provided! Large rooms with lots of character. Rent is $450 per person per month or $1350 total. No Pets. 3 bedroom, 2 bath unit on second floor. Washer/Dryer, dishwasher, and parking included! Available 7/1/2019! Rent is $400 per person per month or $1200 total. Wonderful opportunity for business owners! 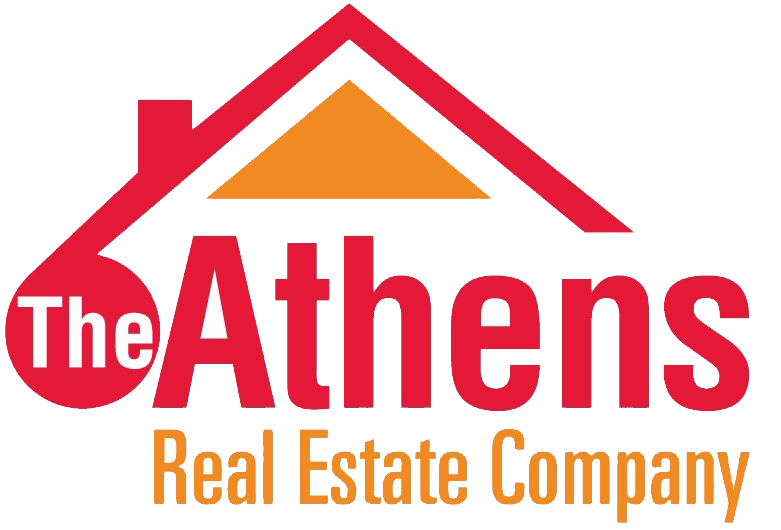 Huge space for rent right uptown Athens! Rent is $3000 per month! Great two bed one bath home in Albany, Ohio. Great One Bedroom One Bath off Stimson Ave.
Beautiful East Side Home Available this fall! 3 bedroom and 1.5 baths. Great home available on quiet street. Features 3 bedrooms, 2 bathrooms, two car garage and washer/dryer. The house sits on two nice size lots, tons of room for gardening and yard activities. The house has great layout and plenty of storage. Available April 10, 2020. Spacious two bed one bath ranch in The Plains, Ohio. Located at 75 N Clinton St. This property features an eat in kitchen with three season sun room. Also has a large basement for storage and wide garage! Washer/Dryer included! Rent is $1000 per month. 3 bedroom/ 2 bathroom condo close to campus. 3 bedroom/ 2 bathroom condo close to campus. Updated third floor unit! Water, washer/ dryer, and parking included!Rent is $375 per person per month! Available 8/9/20. This unit has two bedrooms and one bathroom. Great family rental available 8/10/20! Situated near the Alden Library, this home features 4 bedrooms and 2.5 baths. The house has large rooms with quaint features. Washer/dryer included as well as one parking spot! Rent is $2,400 per month or $600 per person. Stunning condo for rent near the Country Club! 2 bedroom, 2 bath second floor unit with garage parking. 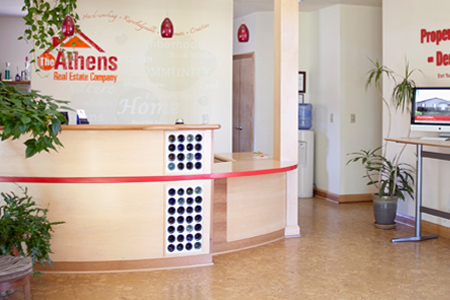 The unit has fully equipped kitchen with newer appliances and a wine bar! This unit features an open floor plan with hardwood floors throughout! The main living space opens up to a large deck off the back. The master bedroom boosts a large closet and double vanity en suite. Fantastic apartment! Large one bed/ one bath unit available!Internet and Parking Included in rent! One Bedroom/ One Bathroom lower level apartment. Parking included in rent. No pets. This house features four bedrooms and 4.5 bathrooms. Each bedroom has its own bathroom! Large living spaces for all to share. The house comes with washer/dryer and parking. Available in May 2019. Brand New One Bedroom Apartment. This unit was constructed in the summer of 2017! You won't find a newer rental this close to campus and Court St.
WOW! Rent is only $450 per person per month! No need to pay for summer with a 9 month lease term! Hill top rental located right uptown Athens. Great location for any student. 5-6 bedroom, 2 bathroom, two story house with a private backyard, walking distance to Court Street & campus, large bedrooms, W&D, large front porch, spacious kitchen. Payments made by semester. Fantastic Huge House! 3 large bedrooms/ 1 bath. Big Kitchen, and large living areas. Well maintained split level home available to rent in Athens. Features 3 bedrooms, 2. Four bedroom, two bath double wide. Huge master suite and open concept living! Well maintained with nice back yard! Carport and w/d provided. Tenant pays propane gas, electric, water, and trash. Rent is $1200 per month. Great location! Available for immediate occupancy. Two bedroom/one bath unit with washer and dryer and multiple decks! Free parking! Rent is $400 per person per month. Total rent is $800/month! No pets. Large family home available for rent in great neighborhood. 4 bedrooms and 2.5 baths. This property features a modern kitchen with open floor plan, formal dining room, large deck, spacious bedrooms, garage, and bonus room! Plenty of room for everyone. Very well maintained 2 bed, 1 bath professional apartment in a quite country setting. Just a few miles from the center of town. Lots of space. Walking distance to campus. Location! Location! Location!Extremely spacious 4 bedroom, 1 full bath, 2 half bath apartment in an amazing location - beside Donkey Coffee. Tenants are responsible for all utilities. Completely remodeled apartment. new floors/fresh paint/new bathroomTwo bedrooms, one bathroomLarge rooms with updated kitchen! No Pets. Laundry included. Spacious 5 bedroom house with 3 full bathrooms! Located just steps from Court Street and Campus. Situated on the corner of W Union St. and High St.
Tucked away in a private setting, this two bedroom one bath home is located near campus. 1 bedroom apartment located near Ohio University campus, at the far end of Richland Avenue. The monthly rent includes lawn care, of off street parking, a small balcony off the bedroom and a small backyard with a creek. One bedroom unit with parking located a stones throw away from Speedway on Richland Ave.
Two bed/ one bath right on Court St., above the Figleaf! This apartment has the best location at a great price!Rent is only $575 per person per month or $1150 per month total. Huge 7 bedroom house right on Mill St. Close to campus and Court St.Parking included! Payments are made by semester. Cozy 3 bedroom, 2 bath home. Conveniently located on Harris Road, off of East State Street. This property offers a fenced in back yard, a carport, updated kitchen with newer appliances, & newer carpet. Beautiful 3-bedroom, 2-bath home with driveway on East State Street, within walking distance to the library, bike path, and numerous restaurants/shopping plazas. One bedroom/ one bath apartment with new carpet. Located just off Richland Ave. Parking included.No Pets. Three bedroom/ two bath condo. Very nice two bedroom, one bath apartments located beside HDL Center in Athens. Price includes off-street parking and lawn care. Spacious 1 bedroom, 1 bath apartment. Conveniently located on West Union Street, within walking distance of Ohio University campus and Court Street. Water, sewer, trash is included in monthly rent, as well as 1 parking space. 1 bedroom 1 bathroom apartment located on West Union Street. Just minutes from Court St. and campus. Fully furnished 4 bedroom, 2 bath condo at Ohio University Commons. Central air, washer/dryer, dishwasher, 4 parking spaces, and separate storage room included in monthly rent. Enjoy clubhouse amenities including a pool and fitness room, as well as a bus service for tenants and their guest to and from Ohio University campus and uptown. All utilities included in monthly rent! (Cable, phone, and internet extra if you choose to have them hooked up.) This roomy efficiency offers a very convenient location--on N. May, just off of E. State Street across from Speedway. Great little 2BR apartment conveniently located on N. May Ave., just off of E. State Street, within walking distance to the library, bike path, and numerous restaurants/shopping plazas. Utilities included in the monthly rent payment: gas, electric, water, sewer, trash and lawn care. Off-street parking available. 1-bedroom apartment. Convenient location--on N. May, just off of E. State Street across from Speedway. Large windows. Efficiency apartment. Convenient location--on N. May, just off of E. State Street across from Speedway. Gas, electric, water, sewer, and trash included in monthly rent. Great 1 bedroom located on the East Side! Large 4- 5 bedroom home. Conveniently located on Elliot Street, off of Stimson Avenue and Mill Street, within walking distance of Ohio University campus and Court Street. Off street parking available. This duplex has the perfect location! Walking distance to campus. Offers three bedrooms and one and a half bathrooms. The apartment has a washer/dryer in the unit and two off-street parking spots. Have you been looking for a huge apartment with room for all your friends? Come take a look at this four bedroom one bath apartment. This property features a huge living room and kitchen. But the best part is the large private balcony that overlooks W. Union. No Pets!Rent is $475 per person per month. Location! Location! Location!Extremely spacious 4 bedroom apartment in an amazing location --above the Comic Book store beside Donkey Coffee. Rent is $500 per person per month. Huge three bedroom/ one bath home with large front porch. Three Bedroom/ 1 bath with extra study and parking! Walking distance to campus! Great duplex with parking and washer & dryer. Rent is $425 per person per month or $1275 total per month. Huge three bedroom house close to campus. Newer mobile home for rent. Three bedroom/two bath home.Large front deck and lots of land. This spacious split-level home is close to town. Featuring beautiful hardwood floors throughout the entire upstairs living areas and bedrooms! You will be overjoyed to see that this three bedroom home comes with one full and two half baths. If that's not exciting enough, the home also features a living room in the basement and a two car garage with electric garage door for those cold Ohio winters. Take look at this 3-bedroom, 1.5-bath rental home. The home features three off-street parking spots along with three separate porches. Three bedroom and one and a half bath house. Walking distance to campus! Parking and washer/dryer included! Great front porch and large back deck! No Pets!Rent is $425 per person per month or $1275 total per month. Three bedroom/ two bath unit at College Park!Parking and washer/dryer included! Located in the Quiet little town of Albany Ohio, this three bedroom one bath home offers the charm of a home with lots of space. Wow! All that space with cheap rent! Nice and roomy three bedroom/ two bath unit close to campus. Perfectly located on Montrose Ave...very near campus with off street parking and washer/dryer. This unit features three bedrooms and one bath with two porches! No Pets! Available 8/5/2019. Great location, just steps from Court St. Very nice 2 bed/1bath house located within walking distance to campus!Rent is only $450/person/ month or $900 total per month! Two Bedroom/ 1 Bath home. Spacious 1-bedroom apartment! Conveniently located on North May, just off of East State Street across from Speedway. Built-in cabinets featured in the living room for extra storage w large windows throughout the apartment. 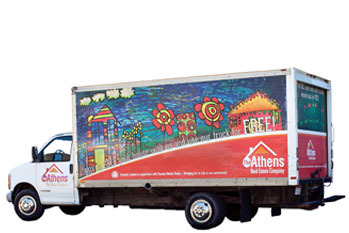 Gas, electric, water, sewer, lawn care, and trash included in monthly rent. Cozy Cottage in The Plains, Ohio. Very nice one bedroom, one bathroom house. No PetsAll hardwood, well maintained. Uptown location, large rooms, shared porch. Beautiful spacious 3 bedroom, 1 bath home. Conveniently located on West Union, beside The Athens County Fair Grounds. This home has recently been remodeled with new carpet in all the rooms, newer appliances in the updated kitchen, and brand new finishes in the bathroom. Large one bedroom, one bath available. Quick walk to campus. Large Kitchen. Adorable balcony off the back. 1 bedroom apartment located near Ohio University campus, at the far end of Richland Avenue. The monthly rent includes lawn care and plenty of off-street parking! Has a small back yard with a creek. Home for Rent - Available Now! This beautiful three bedroom, two bathroom house is located just steps from shops and restaurants! Brand new kitchen and fresh paint throughout! No Pets!Rent is $425 per person per month or $1275 total per month! Available NOW!